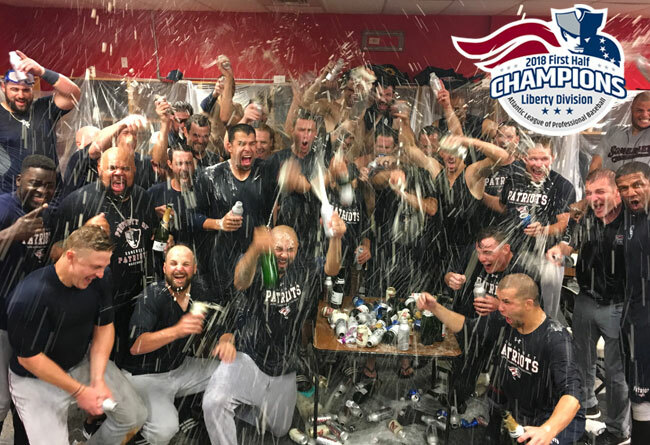 (Waldorf, Md., July 4, 2018) - The Somerset Patriots have officially clinched the 2018 Liberty Division First Half Championship, and thus, a spot in the 2018 Atlantic League postseason. The 2018 Somerset Patriots season presented by Ford continues on Friday, July 6th when the Patriots return to TD Bank Ballpark to take on the Road Warriors at 7:05 pm. For tickets, visit www.somersetpatriots.com.